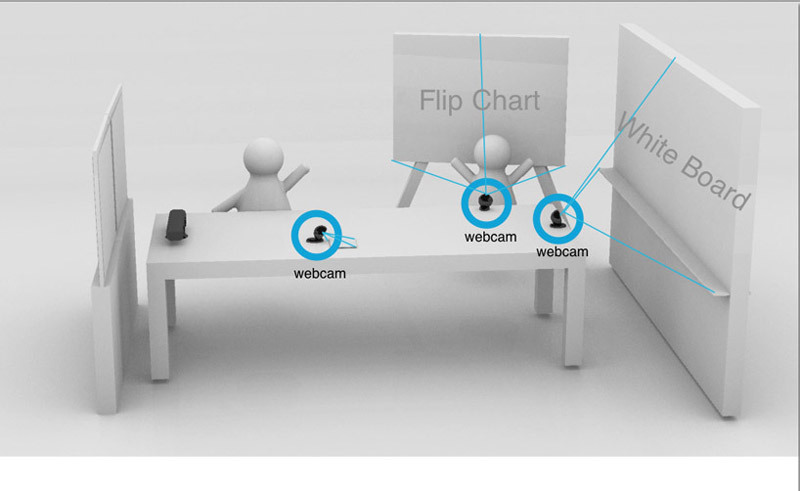 FocalSpace introduces a video conferencing system that dynamically recognizes relevant activities and objects through depth sensing and hybrid tracking of multimodal cues, such as voice, gesture, and proximity to surfaces. 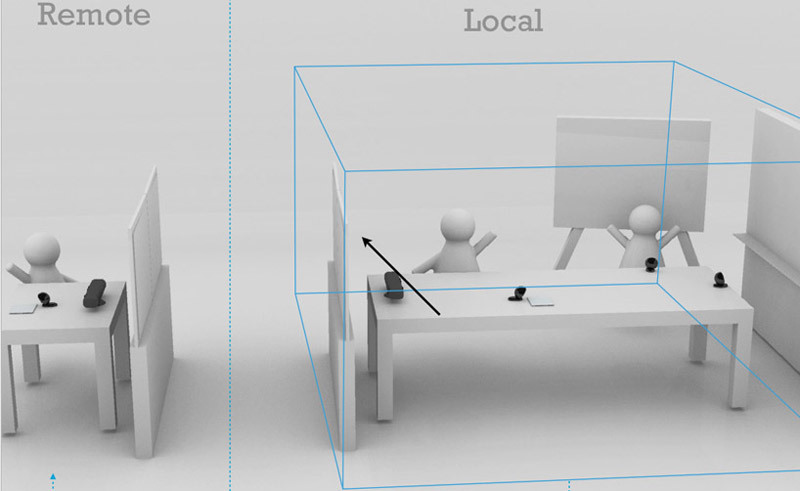 FocalSpace uses this information to enhance users’ focus by diminishing the background through synthetic blur effects. We decided to use both Kinects and Webcams to achieve the desired effect. The first step was to roughly sketch out how the overall system should work. Kinects are used to interpret depth, detecting skeletons, also tracking audio. FocalSpace is a rather complicated system. Once we have the idea and overall design, we started breaking down the system to different layers for separate implementation. After system breakdown, we implemented the main features of FocalSpace, mostly working with depth and audio data from Kinect. 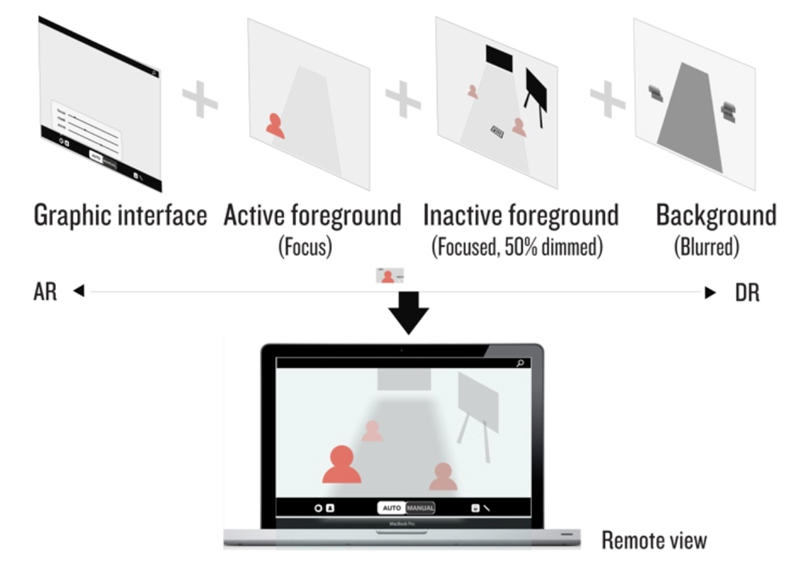 By observing the space we inhabit as a richly layered, semantic object, FocalSpace can be valuable tool for other applications domains beyond video conferencing system. 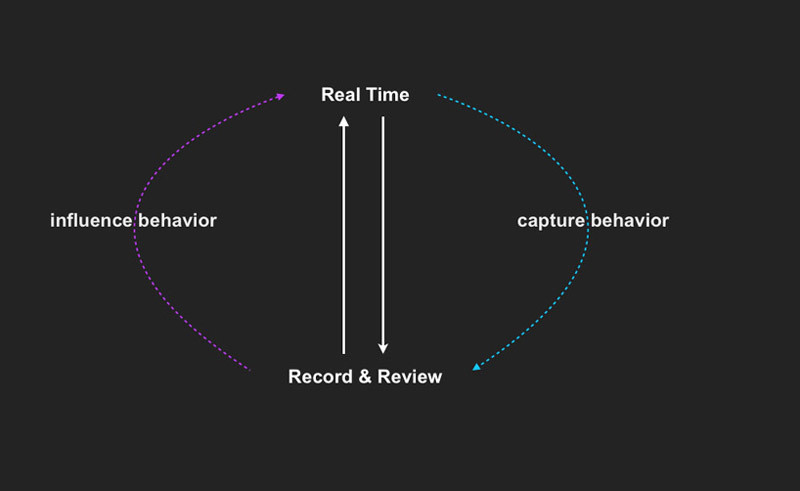 For future work, we consider adding eye-tracking as an additional feature, where focusing follows a user's gaze.